PROJECT: Name a new financial company that provides small business loans and capital financing to entrepreneurs. AQUARIA: A beautiful word that is the plural of aquarium, which can either describe a small tank or an entire building housing fish and other aquatic life. BRAND POSITION: Aquaria maps to a primary brand positioning concept we developed for this project, which we called “The Source”: metaphorically the source of life, and literally as a positive source of energy to help nourish your small business and, by extension, a source for new jobs in the community. 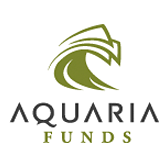 Aquaria is fresh, natural, and refreshing, evoking a colorful, active, life-sustaining and nurturing organic ecosystem, just the kind of lending environment that the company has created for small businesses as an alternative to the cold, impersonal world of the big banks. Aquaria will help put your company on the map and on display for all the world to see and marvel at, so your business and your dream can flourish. An elegant and beautiful name that perfectly reflects the aspirations and brand narrative of this vibrant company.